After just under an hour of work I made a proof of concept for having two carts share one track going opposite directions. The way this section works is simple. The carts come at eachother from opposite directions. First they go through a set of single track, then in the middle there is a passing siding. After that, another set of single track, then the CP. 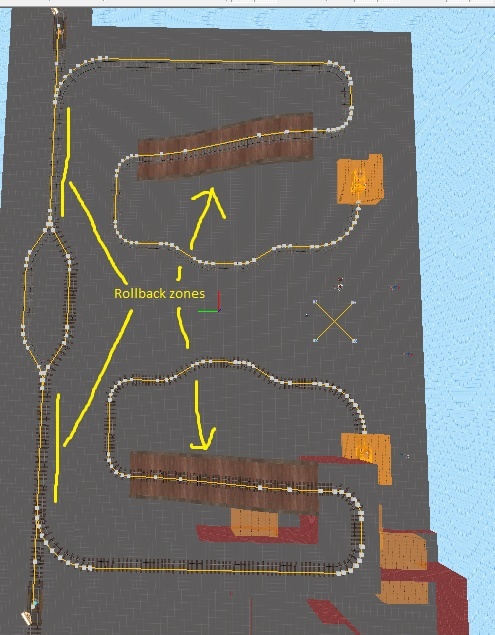 On the single tracks there is rollback, so that one team dies the carts will roll back into the passing track or past the original junction where the single track started. I would post a picture but for some reason it isn't working. Turned out to be an invisible security thing telling me to restart. Probably should get rid of that, but idk what to use instead. It would be nice if when the bombs collided the would explode. And the bomb that traveled less would lose. That would be cool furgus. If you figure out how to do it I'll consider. Hobo, this is about the same size as Pipeline's stage 3. So it's ok.
Well I don't know how to make a pl map. 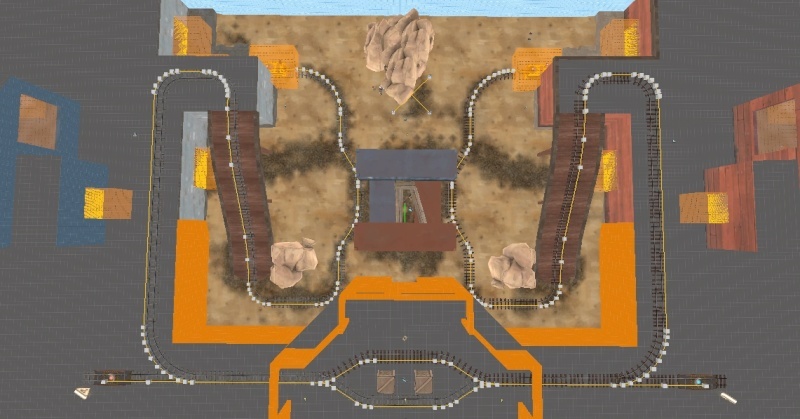 But I would make a map similar to orange bomb. That map was fantastic. Hobo, we tested it today on the -CGMZ- server. Everyone liked it and it works just fine. Yes we did have scout rushes, but they were stopped by soldiers and heavies. Not everyone has to poosh cart. can you mark the spawns? Spawns are the blue and red buildings on the left and right. Carts start at the top, end at the bottom. Worked pretty well, everyone likes it. Played for 2 hours or so on it. but eh no big deal, that map looks awesome!! !